TNIE GOAL 2019 - the eighth edition of the All Kerala Inter-College Football Tournament organised by The New Indian Express Group - was held at Maharaja's College Grounds in Kochi from January 6 to 20. TNIE GOAL is one of the most prestigious tournaments in Kerala since its inception in 2012. The 2019 edition was held in a knockout format with 23 matches played over 12 match days. The top 24 college football teams from four universities of Kerala participated in the tournament. All the matches were held under floodlights at the Maharaja's College Grounds; two matches were held every day till the semifinals. The opening and final day's matches were telecast live on Asianet Cable Vision all across Kerala. The tournament was also promoted through social media with live videos, real-time updates, fan engagement and interviews of players and coaches. Sree Kerala Varma College, Thrissur lifted the TNIE GOAL 2019 title, defeating St Joseph's College, Devagiri, Kozhikode. They are the most successful team in the tournament with four titles under their belt. The thrilling final ended 3-3 in regulation time before Sree Kerala Varma College won the tie-breaker 4-3. The winning team members collected an aggregate scholarship of Rs 2 lakh and the runners-up, Rs 1 lakh. Individual awards were also distributed for the following categories: Best Player, Best Striker, Best Midfielder, Best Defender, Best Goalkeeper, Top Scorer, Promising Player. All were awarded individual scholarships. Fairplay award was introduced in this edition, for the team with the best disciplinary record over the course of the tournament. Opposition leader Ramesh Chennithala inaugurated the tournament on January 6. The opening ceremony was also attended by Deputy Mayor TJ Vinodh, former Travancore Devaswom Board member Ajay Tharayil and Kerala Football Association president KMI Mather. On the day of the finals, the crowning of the champions was done by MP Shashi Tharoor. 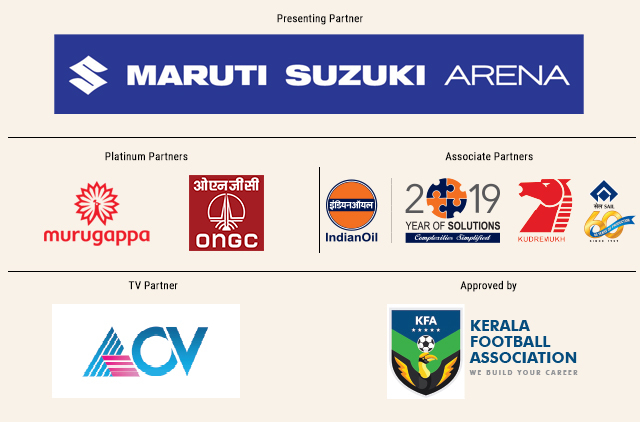 Actor Meera Vasudevan, Kerala Santosh Trophy coach VP Shaji, KFA Secretary Anil Kumar and Maruti Suzuki Regional Manager Kerala Peter Ipe were among those who graced the valedictory function. The electrifying final was a testimony to the quality and competitiveness of the tournament. It was the most thrilling finale in the history of the tournament. Sree Kerala Varma were leading 3-0 when St Joseph's College staged a fightback to make it 3-3. The game was decided in a nail-biting tie-breaker. For many teams like St Joseph's College, GOAL is now the perfect platform to showcase the progress they made over the years in football. GOAL 2019 turned out to be the first time St Joseph's College reached the final of an inter-college football tournament in over 10 years. It was one of the best narratives of this year's edition. The tournament saw some top referees from Indian Super League and I-League matches officiate knockout matches. Santosh Kumar who is a FIFA certified referee officiated the final and other knockout matches. This year, new colleges showed interest and enquired about the criterion to get selected for the tournament. Like the previous years, the eighth edition attracted scouts and coaches who came for talent hunting. In a first, Indian Super League team FC Goa sent their scouts to attend GOAL and over ten players have been called for trials by the Goan club according to the scout. Kerala Santosh Trophy VP Shaji also confirmed that he shortlisted players to attend trials for the Kerala Santosh Trophy team. Kerala Football Association Secretary Anil Kumar said that the tournament bears immense significance for young footballers. He pitched the idea of scheduling the tournament in September-October in order to help coaches select players for the state team preparing for national tournaments. The eighth edition of TNIE GOAL demonstrated that it continues to be the best-organized football tournament in the state offering the highest prize money. Teams are provided all the assistance required like travel allowance, jerseys, accommodation and other support. The New Indian Express Group, along with its partners, have strived to make GOAL bigger and better each year.